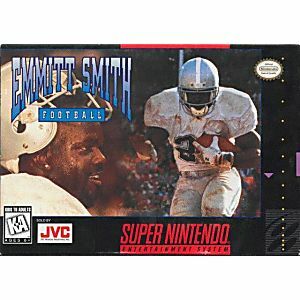 Emmitt Smith Football SNES Super Nintendo Game Cartridge Cleaned Tested and Guaranteed to Work! 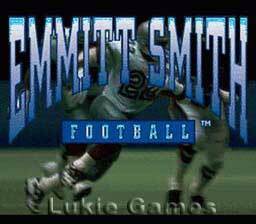 Emmitt Smith, considered to be one of the greatest running backs in professional football, is now crashing into your living room. 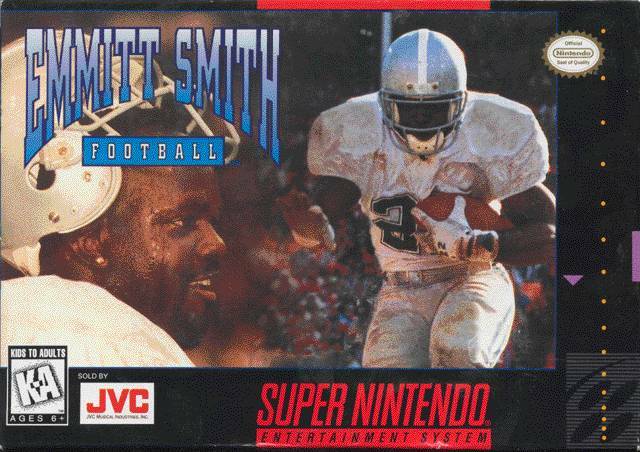 His mesmerizing moves and superior speed are rolled-up together with the down and dirty action of a real pro-football game. Generic football game, nothing special.